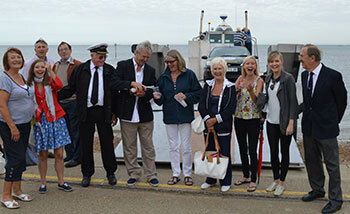 On Friday 23rd August 2013, William Searle, his wife Liz, daughters Aimee, Laura and Rachel plus friends and crew made a historic first car/passenger ferry crossing over the Wash to Skegness aboard his amphibious craft "Whizzy" leaving from Seatours Reception on Hunstanton Central Promenade at 9.00 arriving at Skegness beach around 11.00. The journey took 1 hour 57 minutes and 2 hours 5 minutes back. 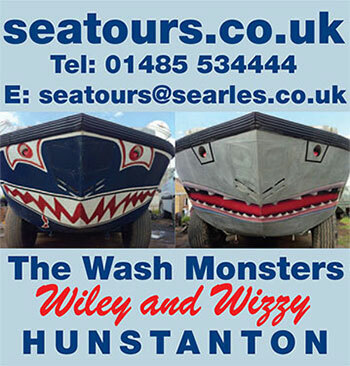 The Seatours car made the return journey by road, leaving at the same time as Wizzy the Wash Monster, and arrived approximately 10 minutes later than the boat. 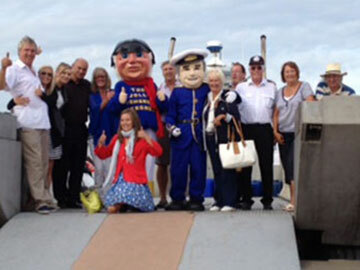 Skegness Councillor Carl Macey started the initiative after a visit to Hunstanton when he had a sea tour and saw the potential for another visitor attraction for Skegness. He successfully promoted the idea to his fellow District and Town Councillors and this is the culmination of contacts through the summer. The vessel is a unique example of very few which can land from the sea and onto a beach. 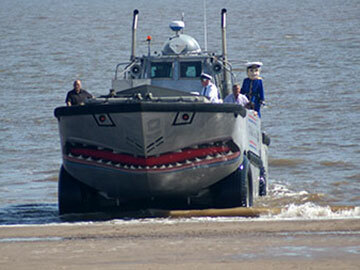 It an ex-US Army LARC (Light Amphibious Resupply Craft) named "Wizzy" used in the Vietnam War in the 1960's powered by 2 - Cummins 300hp V8 diesels. 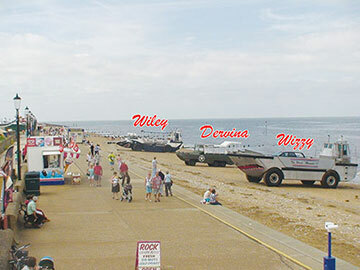 Its sister vessel "Wiley" is hard at work in Hunstanton. 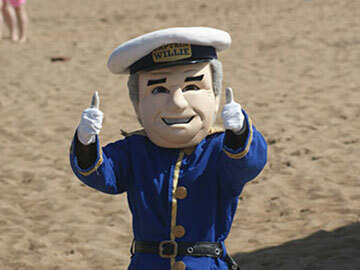 Owner, William Searle said "This tour is the final part of the feasibility study into starting a Seatours service in Skegness for 2014 season and acknowledged the enormous help, encouragement and enthusiasm from East Lindsey District Councillors and Officers, Skegness Town Councillors and Officers and the Skegness Hospitality Association which has been overwhelming and humbling. During the autumn we will be completing our assessments and very much hope these justify the project. The final decision is one for all the directors of Searles Leisure".